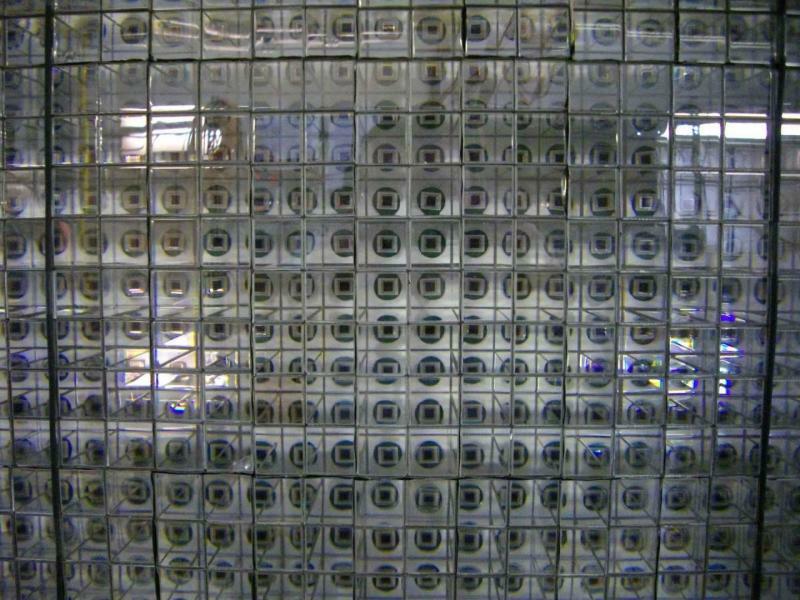 The Photon Multiplicity Detector (PMD) is a particle shower detector, which measures the multiplicity and spatial distribution of photons produced in collisions. The Photon Multiplicity Detector (PMD) measures the multiplicity and spatial distribution of photons produced in collisions. It utilizes a veto detector as a first layer, to reject charged particles. Photons pass through a converter, initiating an electromagnetic shower in a second detector layer, where they produce large signals on several cells of its sensitive volume. Hadrons, on the other hand, normally affect only one cell and produce a signal representing minimum-ionizing particles.